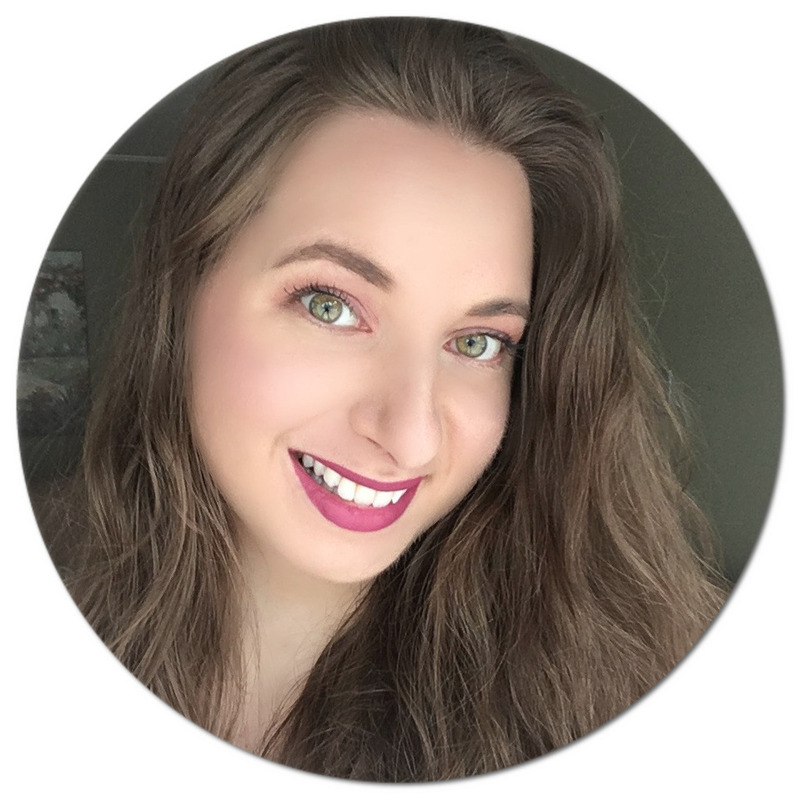 The drugstore is a beauty lover's happy place, and while I haven't been shopping there nearly as much as I used to, I still enjoy coming across makeup and skin care items that end up performing better than I had expected. Coping with severe acne both on my face and body in my teenage years meant trying a lot of different affordable skin care brands to help calm my skin, one of them being Neutrogena. Today I will be revisiting an old favourite as well as share some new additions in my routine. 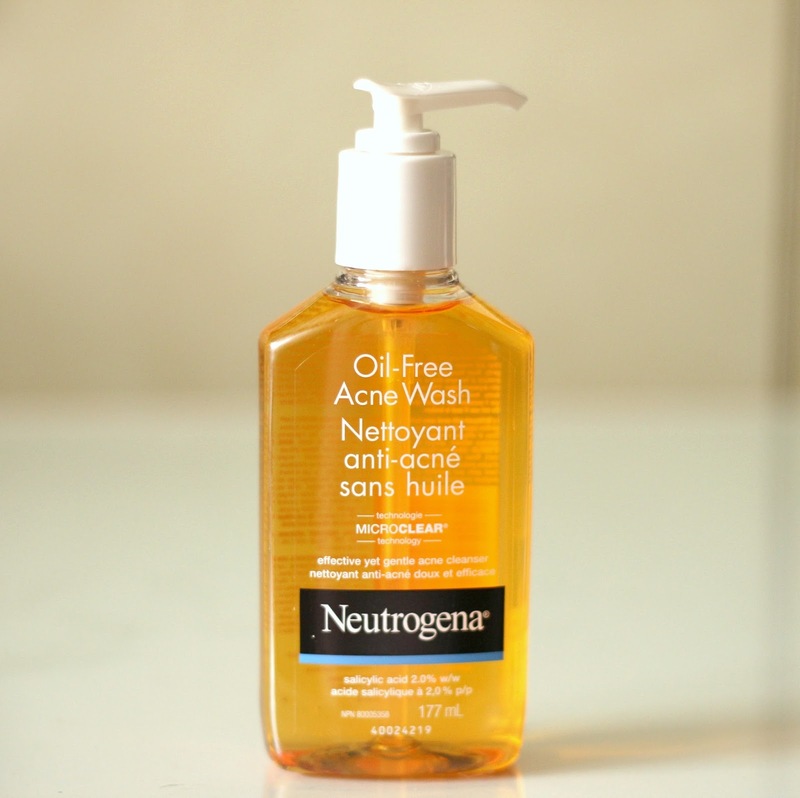 An oldie but a goodie is the Neutrogena Oil-Free Acne Wash* ($9.99 CAD, 177 mL) which I previously mentioned here. This oil and alcohol-free face wash contains salicylic acid to deeply cleanse and remove dirt and makeup without clogging pores or overdrying the skin. I really like that the main ingredient is aloe leaf extract as it makes my skin feel super refreshed. The gel quickly foams when massaged in circular motions. I let is sit for about a minute before rinsing off and moving on to the next step. 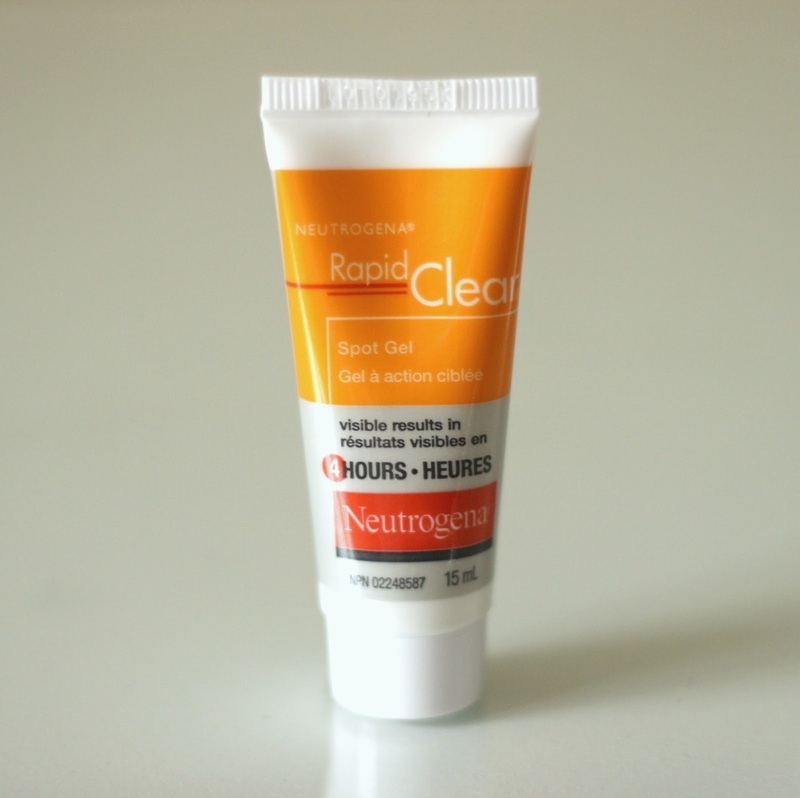 To speed up the healing of stubborn breakouts, I will use the Neutrogena Rapid Clear Spot Gel* ($8.69-$10.99 CAD, 15 mL). The clear formula is said to provide visible results in just four hours and I have to say this treatment is really efficient. This product also contains 2% salicylic acid and further penetrates pores to lift dirt and oil and remove dead skin cells that can further clog pores. I apply it both morning and night on clean skin and it quickly reduces the size of my zits and overall redness. The Oil-Free Acne Moisturizer Pink Grapefruit* ($9.99 – 12.99 CAD, 118 mL) is one of Neutrogena's newest launches. This light lotion contains naturally-derived grapefruit extract and 0.5% salicylic acid to relieve dry, acneic skin. 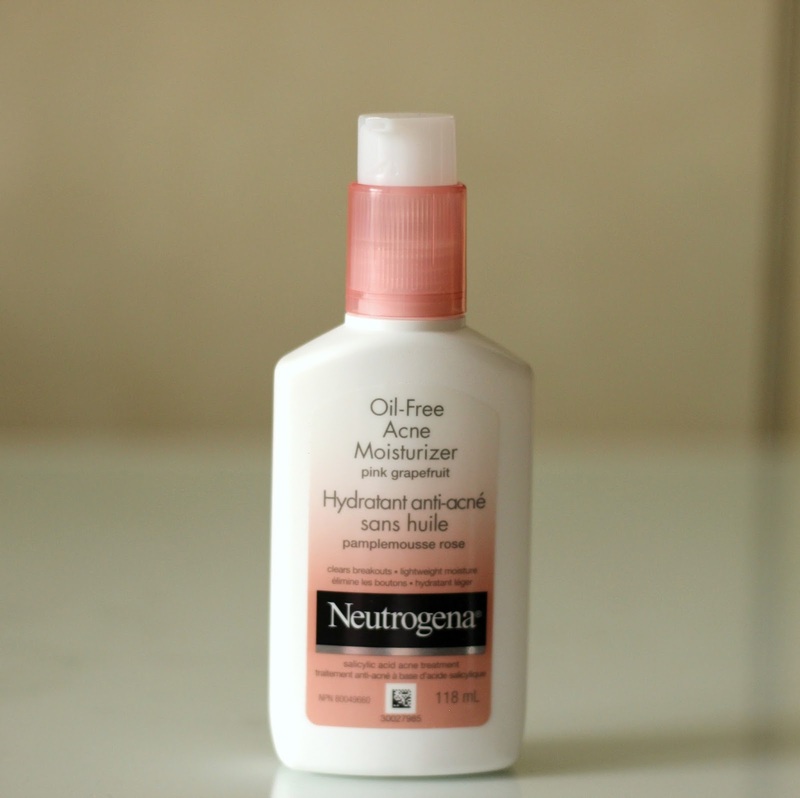 The non-greasy, water-based formula makes it a great daytime moisturizer to use prior to applying makeup. Also non-irritating, it keeps my skin looking nice and smooth all day long. 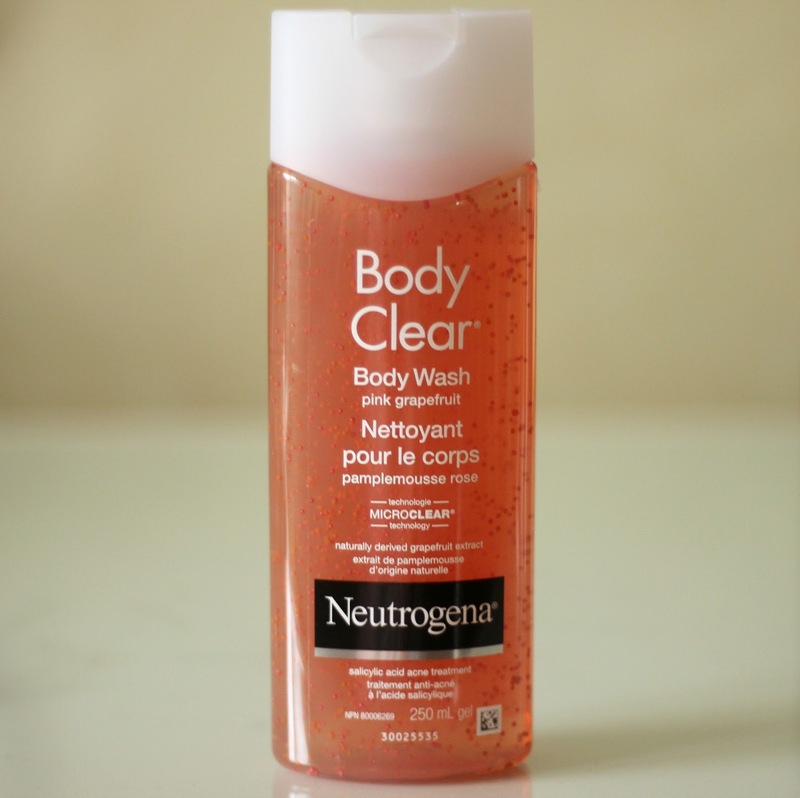 To give the rest of my body some much needed love, the Neutrogena Body Wash Pink Grapefruit* ($8.99-$10.99 CAD, 250mL) has come in especially handy to keep my 'bacne' under control. This body wash is formulated with (you guessed it) salicylic acid once again and also contains vitamin C on top of grapefruit extract. If you deal with acne on other body parts, such as your shoulders and chest, this is a great option too. After a couple of days of consistently using these products, I have noticed my skin has calmed down quite a bit. This change hasn't gone unnoticed as family members have also commented on how clear my skin now looks. Happy skin, happy Natalie! 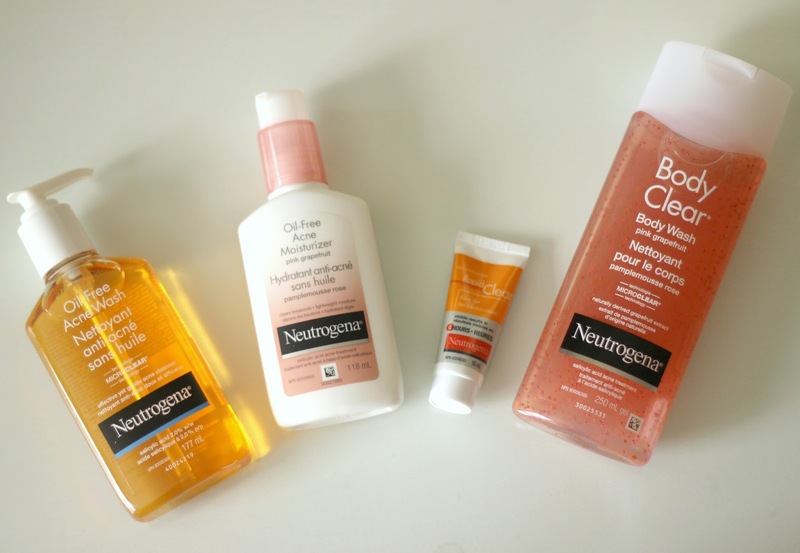 Are you a fan of Neutrogena skin care? What products have you tried? Disclaimer: This is a sponsored post. Products were provided and reviewed in accordance with my Disclosure Policy.